"Rockabye Baby! is staffed by music lovers from all corners of the world. Headquartered in the Los Angeles neighborhood of Silver Lake, the label was born of the need to make children's music cool--not only for babies but for their parents too. We turned to our record collections for inspiration: punk, metal, classic rock. The resulting albums are revolutionary yet reverential. In other words, the perfect gift for a newborn, new parents, or yourself.Part of the CMH Label Group, a thirty-year-old independent bluegrass and roots-music stronghold that houses a variety of musical styles under its umbrella, including metal, rap, punk, and string quartet tributes, Rockabye Baby! is the latest addition to a diverse musical family. Says label Vice President Lisa Roth, "First and foremost, we're fans, so we take care to make every album musically interesting enough to satisfy adult listeners. Believe me, making an album that's gentle enough for sleeping babies but won't bore Mom and Dad is trickier than it sounds." Producer/arrangers would agree! The job's not easy, but it's immensely gratifying to hear from pleased parents that Rockabye Baby! is now a treasured piece of their family history. Rockabye Baby! transforms timeless rock songs into beautiful instrumental lullabies. Guitars and drums are traded for soothing mellotrons, vibraphones and bells, and the volume is turned down from an eleven to a two. Rockabye Baby! is the perfect way to share the music you love with the littlest rocker in your life." "Is your family going through changes? If your days are filled with tears because baby kept you up until the witching hour, try these soothing versions of Black Sabbath’s metal classics to rock your little one to sleep. You’re going to feel sweet relief as the hauntingly familiar melodies cast an enchanting spell over the whole family." What we thought: This was our first introduction to the Rockabye Baby! series of lullaby renditions and simply put...it rocked!! The funniest part was I didn't even know I knew that many Black Sabbath songs until I listened to this CD. It was really neat to hear the original rockin' tunes, but done in such a way that they would be soothing to a baby. Though, I must say when A was tiny, the only music that would calm her down and put her to sleep was hip-hop, but I think most babies would find Lullaby Renditions of Black Sabbath calming and sleep-provoking:) We have been listening to it before rest time and the kiddos love it. I would definitely recommend this CD to Black Sabbath-loving parents who would like to share their love of these classics with their little ones. ABCD Diaries gives Rockabye Baby! Lullaby Renditions of Black Sabbath an A+! 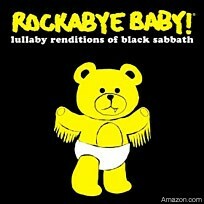 Buy It: You can get your copy of Lullaby Renditions of Black Sabbath at Rockabye Baby! 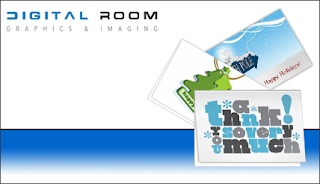 Thanks to Digital Room, we have an awesome last-minute giveaway today!! Disclosure: ABCD Diaries is sometimes given products for review purposes only. We are in no other way compensated. The opinions expressed in this post are ours and ours alone. "LUVĒ, LLC was founded by Wisconsin-based momtrepreneur Amy Seckinger. The company launched its first national product in 2008 – the Patent Pending Bath Luvē, an innovative solution which provides warmth and comfort during infant bath time. -Why do babies need a Bath Luvē? When Amy Seckinger was a new mother, she realized how stressful infant bath time was for both her and her son. Safely bathing in only a few inches of water, the baby was cold, and his crying made for a difficult experience. Seckinger began to look for a solution. -What is the Bath Luvē made of? The Patent Pending Bath Luvē is constructed of quality materials and designed with baby’s safety and comfort in mind. -Are there any other benefits to the Bath Luvē? Yes, Seckinger found that by using the Bath Luvē, infants are more relaxed during bath time as the material follows the lines of their body and helps create a positive bathing experience. Medical professionals have been enthusiastic about the benefits of creating a warm, womblike comfort for infants. -Are there any other Bath Luvē products? The Bath Luvē Buddy, introduced as a companion to the Bath Luvē, offers a way for parents to continue to add warm bath water to the Bath Luvē. The Bath Luvē Buddy is easily held in one hand by parents to dip and squeeze warm water onto the Bath Luvē. The soft fabric sponge is also perfect for washing baby and becomes a bath toy as baby grows. New from Bath Luvē are super-soft hooded terry towels and matching washcloths. -Where can the Bath Luvē be purchased? Consumers can purchase the Bath Luvē at all 930 Kohl’s stores nationwide as well as other retailers such as Babies R Us, select Baby Depots, Toys R Us Australia and Wal-Mart.com. The frog Bath Luvē with a matching Bath Luvē Buddy is available from “One Step Ahead” catalogue. Buy Buy Baby offers the entire Bath Luvē line. Seckinger’s web site, www.bathluve.com, offers online ordering. -How much does a Bath Luvē cost? The Bath Luvē, in frog, fish or duck design, retails at $6 to $10. See www.bathluve.com for more product information and pricing. I love this idea! They would be perfect for new babies and parents, but they can be used well beyond infancy. Our youngest is 21 months and he loved his Bath Luve. Obviously, we didn't use it in a baby tub to cover him, but he loved playing with it in the bath and it makes a wonderful, fun and efficient washcloth. Our Bath Luve stood up well to machine washing and drying and was definitely put through the toddler durability test. I'm happy to say, our Bath Luve was made with such quality materials it survived little D:) ABCD Diaries gives Bath Luve an A! Buy It: You can find Bath Luve products at Kohls, Babies R Us and Wal Mart. Win It: Bath Luve has generously offered one ABCD Diaries winner a Bath Luve of their very own!! To enter, leave a comment below with your favorite Bath Luve. Disclosure: ABCD Diaries was given a Bath Luve for review purposes only. We were in no other way compensated. The opinions expressed in this post are ours and ours alone. 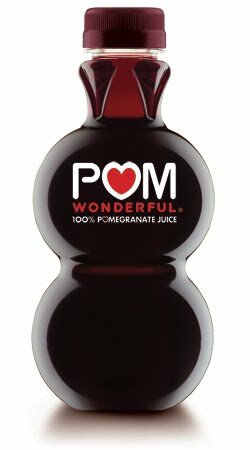 "POM Wonderful 100% Pomegranate Juice is a little bit sweet, a little bit tart and a whole lotta healthy. Bursting with superior levels of naturally occurring antioxidants it’s 100% authentic, 100% delicious and 100% pure, meaning there’s no added sugar, colorants or cheap filler juices. We have also provided over $34M in funding to support scientific research on POM products at top institutions around the globe so raise a glass to life. And the pursuit of healthiness. You can find POM Wonderful Juices in the refrigerated section of the produce department of your local supermarket. Our POM Wonderful 100% Pomegranate Juice is available in convenient 8oz (limited distribution), 16oz, 24oz, 48oz, and 60oz bottles." This review was all B's:) He is the pomegranate juice drinker in our family. He said it short and sweet...POM Wonderful has a true pomegranate flavor and tastes pretty delicious. So, if you like pomegranate juice, this would be perfect for you! I think the bottles are really cool:) Look for it in the refrigerated juice section at your local supermarket. Overall, ABCD Diaries gives POM Wonderful an A! Disclosure: ABCD Diaries was given a case of POM Wonderful for review purposes only. We were in no other way compensated. The opinions expressed in this post are ours and ours alone. "Lullaby Exercises is a series of fun, easy-to-learn movements—dancing, swaying, stretching & relaxing—that are performed while holding a baby in your arms or in a baby carrier. It’s designed for new moms to share moments with their baby, put a little one to sleep, and to feel good emotionally and physically. Lullaby Exercises DVD/CD is recommended for moms with babies 6 weeks to pre-walking." This was a really cool DVD and I will be recommending it to all of my new mom friends:) I really wish I would have had when my little ones were littler, but I could still enjoy the workout, just a tad modified:) The music is great and the steps are easy and the workout really works!! It also allows for some really awesome bonding time with your chick:) ABCD Diaries gives Lullaby Exercises an A! Buy It: Lullaby Exercises can be found at Amazon, Barnes & Noble and lots of boutique stores. Check here to see if you have a retailer near you. Disclosure: ABCD Diaries was given a copy of Lullaby Exercises for review purposes only. We were in no other way compensated. The opinions expressed in this post are ours and ours alone. 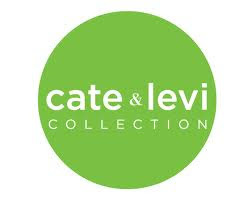 Thanks to Cate & Levi, we recently had the opportunity to review a hand-made, one-of-a-kind hand puppet. "As my wife and I awaited the birth of our first child, I noticed that there was a lack of one of a kind, responsibly made, and beautifully designed products for children. I decided to create a unique collection of products that would be intricately crafted and environmentally responsible. It is important for me to set a good example for my child, to work in a highly creative and responsible fashion, and to produce long lasting items that can be today's plaything and tomorrow's keepsake. I am building a company my family can be proud of. Ten percent of my profits will be donated to funds that help children in need." Our Cate & Levi hand puppet, a moose, was tested and approved by both our 4 yr old, A, and 21 month old, D. They named him Moosey(creative, aren't they? :) and they absolutely loved him! He will definitely be part of our puppet collection for a long time. I loved that he is so well-made and the fact that he is one-of-a-kind makes him very special:) ABCD Diaries gives ate & Levi and A+! Disclosure: ABCD Diaries was given a puppet for review purposes only. We were in no other way compensated. The opinions expressed in this post are ours and ours alone. Recently we got the chance to try out a few products from the extensive Ecostore USA line. "Our eco friendly, plant-based household cleaning products are as effective as the leading supermarket brands, and our body and baby care ranges are gentle on your skin and are simply beautiful to use. All of our products are made from plant- and mineral-based ingredients, free of toxic chemicals that bring people closer to nature with non-toxic, environmentally safe solutions that also help to reduce our carbon footprint. Our products also help to ensure value for the dollar for our customers. Our super-concentrates means that a little really does go a long way - saving you money by cutting down significantly on cost per use. 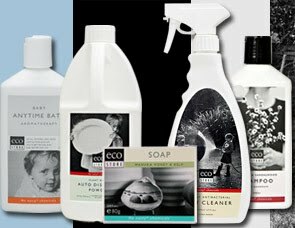 Today and in the future – ecostore USA"
The products we tried were the Pure Oxygen Whitener, the Goat's Milk Baby Soap and the SleepyTime Baby Wash.
ABCD Diaries gives Ecostore USA an A+!! Buy It: You can purchase your Earth-friendly, body friendly, wallet-friendly products at EcostoreUSA! Disclosure: ABCD Diaries was given 3 products for review purposes only. We were in no other way compensated. The opinions expressed in this post are ours and ours alone. Fall is my absolute favorite season of the year. I know it may seem a little much(especially in Texas) to have a Fall background in July, but I'll take any excuse to get "fall on the brain." 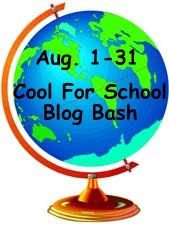 Also, I thought it would go well with our back-to-school giveaways in the Cool For School Blog Bash we're participating in. Congrats winners! You have all been emailed!! Thanks to Nature's Baby Organics, we recently had the opportunity to try out one of their newest items, Tangy Tangerine Bubble Bath. As you can see below, Nature's Baby Organics offers quite a wide variety of organic baby body products. "I developed this product because I couldn't imagine putting chemicals on my babies delicate hair and skin. My whole family adores Nature's Baby and I know yours will too. "Adena never figured she'd be looking up chemical compounds on the internet, but that's exactly what she did when her one-year-old daughter broke out in a mysterious rash all over her body. After trying for days to find the cause of her blotchy and inflamed skin, Adena sat down at the computer with an armful of products. Everything from shampoo and conditioner to sunscreen and baby lotion. Though she couldn't even pronounce some of the ingredients on the labels, Adena researched each and every item she regularly put on her daughter with increasing dismay. She discovered that many of the elements in these commonly used products came with biohazard warnings or were listed as potentially harmful in certain conditions. 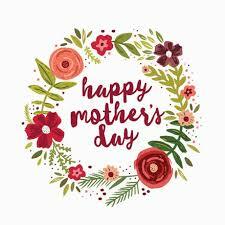 She was additionally disheartened because, like most mothers do, Adena tried hard to give her daughter "only the best." She wasn't fanatical about it, but she avoided processed foods when possible, used homeopathic remedies under the care of her physician, and tried to promote a healthy, natural lifestyle for her family. Yet here she was putting potentially harmful chemicals on her baby's tender skin without even knowing it. Although she ultimately discovered that her daughter was allergic to the sunscreen and sensitive to perfumes and dyes, Adena could not, in good conscience, continue to use the other hair and skincare products in her cabinet. So, she turned to nature for a more wholesome way to care for her little one's delicate hair and skin. 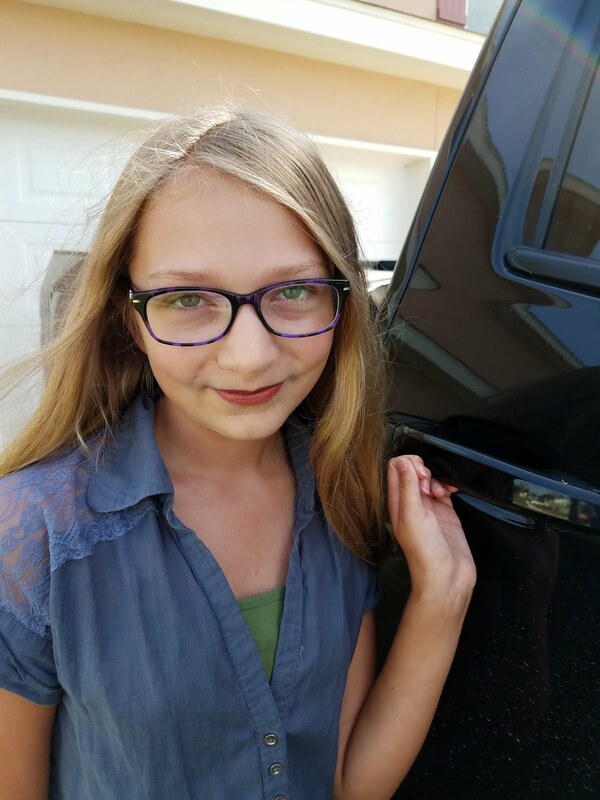 During the 2 year development and testing process, Adena's second daughter was born and she suffered from severe Eczema, so it seemed that yet again she faced another challenge to address. From the essential oils to the cleaning agents, every ingredient would be from nature's laboratory-safe, pure, and 100 percent derived from nature. Thus, Nature's Baby was born." "Children will look forward to bathing with this fun new Bubble Bath, made with 70% certified organic, non-irritating Bubble bath. Made with the highest quality botanicals, essential oils, organic ingredients and luxurious moisturizers. Our Bubbles are long lasting and extremely gentle so they will not dry or irritate baby’s tender skin, while the natural Tangy Tangerine scent fills the air with the smell of fresh peeled tangerines. Great for Babies of all ages. Also Paraben free, SLS Free, 1-4 Dioxane Free, Synthetic Fragrance Free, Gluten Free & Vegan. 12 oz. Bottle - $12.99"
Well, the bubble bath was tested and approved by both A and D:) This bubble bath smelled great and the bubbles lasted and lasted. Our kids LOVE baths and there is never a single bubble left to go down the drain after bath time, but Nature's Baby Organics bubbles remained even after the kiddos were dried off and jammied! I was amazed:) Their skin seemed soft and not dried out (the way some soaps leave it) and they smelled fabulous! ABCD Diaries gives Nature's Baby Organics Bubble Bath and A+! Buy It: You can find Nature's Baby Organics in better health food stores and hair salons nationwide. Go to their website for a store locator. Win It: Nature's Baby Organics has generously offered one ABCD Diaries reader any item of their choice excluding gift bags!!! To enter, visit the website and leave a comment below mentioning something you'd like to try. Disclosure: ABCD Diaries was given a bottle of bubble bath for review purposes only. We were in no other way compensated. The opinions expressed in this post are ours and ours alone. Little Looster LLC is a Portland, OR based business. The Looster itself was conceived and designed by Monica Mylet, a mother of 3. She came up with the design and need after parenting 3 kids through the potty training process. Just about every aspect of the Looster's life cycle from birth-of-concept to design and manufacturing was completed by Oregon based companies. For starters Monica worked with Elevation Lab a Portland CAD designer to come up with the optimal solution. Monica and Casey at Elevation Lab worked diligently for over a year to refine the final design." Provides total comfort & leg support for years of use. No more painful pins-n-needles feeling when little legs are not supported. No scary feeling of “falling in.” Kids legs do all the work. Allows children to have their hands free at all times. No need to grip the back of the toilet seat or the inner, germ covered rim. "As an extension of the toilet, the Little Looster never needs to be shuffled around the bathroom. 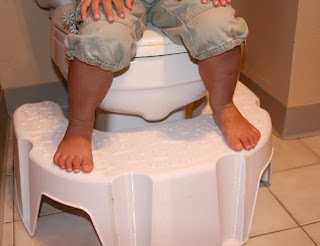 All grown-ups can use the toilet while standing or sitting without needing to move it out of the way." I love the stability of the Little Looster. It has really helped in the beginning stages of potty training D, our 21 month old son. He can easily climb on and off the Little Looster, without fear of falling of the step stool and it does provide stability to prevent falling in the potty. Even A, our 4 year old daughter, enjoys using the Little Looster. The design is pretty cool and I like how it wraps around the potty, however we have a pretty low bowl I guess, because it does seem to stick pretty far out. This isn't really a problem for us because we have our own bathroom, so it is never in our way, but the kid's bathroom is also the guest bath, so when we have visitors we'll see how it goes. Regardless, if it is in the way it can be easily moved, as it is lightweight and durable:) Overall, ABCD Diaries gives the Little Looster an A! Buy It: Get your booster for the loo from Little Looster. 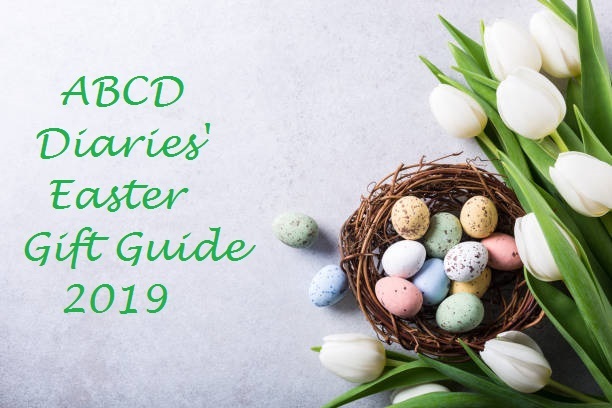 Disclosure: ABCD Diaries was given a Little Looster for review purposes only. We were in no other way compensated. The opinions expressed in this post are ours and ours alone. As a scrawny college freshman in the mid-1970s, just before Arnold Schwarzenegger became a hero to boys everywhere and Pumping Iron became a cult hit, Paul Solotaroff discovered weights and steroids. In a matter of months, he grew from a dorky beanpole into a hulking behemoth, showing off his rock hard muscles first on the streets of New York City and then alongside his colorful gym-rat friends in strip clubs and in the homes of the gotham elite. It was a swinging time, when "Would you like to dance?" turned into "Your place or mine?" and the guys with the muscles had all the ladies--until their bodies, like Solotaroff''s, completely shut down. But this isn't the gloom-and-doom addiction one might expect--Solotaroff looks back at even his lowest points with a wicked sense of humor, and he sends up the disco era and its excess with all the kaleidoscopic detail of Boogie Nights or Saturday Night Fever. 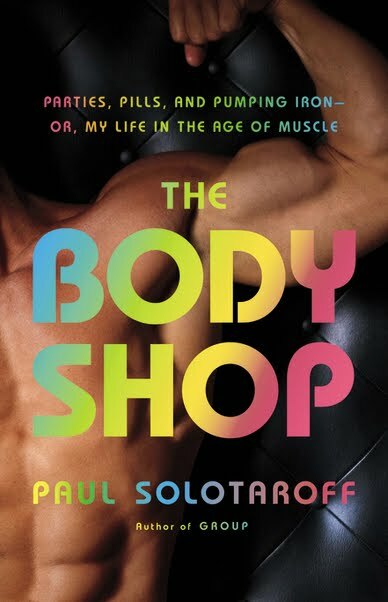 Written with candor and sarcasm, THE BODY SHOP is a memoir with all the elements of great fiction and dazzlingly displays Paul Solotaroff's celebrated writing talent. I was an 80s baby, so I don't recall any of the disco-era, but oh, my what a fun and crazy time it must have been! This book describes perfectly what I imagine that time was like and you really get sucked into it. I had to keep reminding myself it was based on a true story, because seriously, the author's life plays out like fiction! It definitely reminded me of Boogie Nights:) Paul Solotaroff has a very colorful and descriptive style of writing and keeps you interested with his vivid imagery, wit and sarcasm. ABCD Diaries gives The Body Shop an A! We have partnered with EcoMom once again to bring you another awesome giveaway and feature another awesome product that can be found at EcoMom! "Healthy living doesn't have to be overwhelming.Small steps matter, and make a big difference. We Make It Easy. 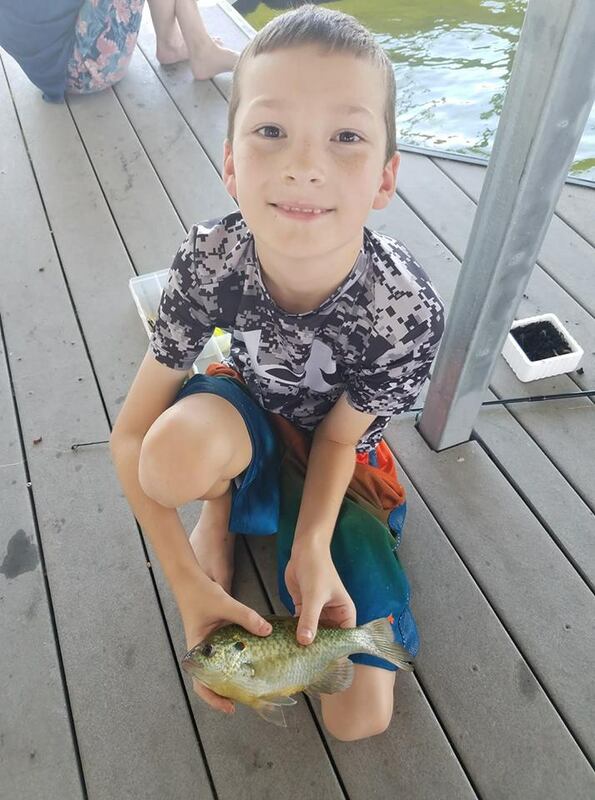 Founded to address the connection between the health of our environment & the health of our children, EcoMom is committed to making eco-conscious living easy, affordable, & rewarding with education, support, tools & products." And what a fabulous job they do!! 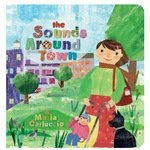 For our review, EcoMom sent us The Sounds Around Town, a Barefoot board book. 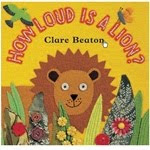 This book was a HUGE hit with both our 4 yr old and our 20 month old. They loved hearing the story over and over again and I've caught them both reading it by themselves and to each other. I love that this book is made out of durable, quality materials and can be cleaned easily with just a damp cloth(very necessary with a toddler:) This book will be a part of library for a long time. ABCD Diaries gives EcoMom and The Sounds Around Town and A+!! There is quite a variety of awesome books at EcoMom...Here are a few more that caught my eye... EcoMom offers a wide variety of products from the high chair to the lunch box, so you should definitely go check them out for all your eco-friendly needs! They also have a new program called the EcoPass that allows you to purchase a $99 annual membership that provides a 15% discount on every order as well as frees shipping with no $75 minimum requirement. This could easily pay for itself if you order your eco-friendly products online! Buy It: Find your eco-friendly baby products at EcoMom! Especially for ABCD Diaries readers....if you purchase before August 31 use the code SBBL426 to save 15% on your order! 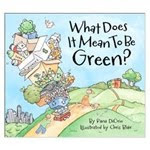 Win It: EcoMom has generously offered one ABCD Diaries reader a $15 gift certificate to be used at their website!! To enter, go check out their site and let us know one item that catches your eye. 6.Tweet about this giveaway(leave link)+2 entries...comment twice please:)7.Blog about this giveaway(leave link) +2 entries...comment twice please:)8.Enter any other current giveaways on ABCD Diaries and leave a comment saying so. Thanks to Maggie's Pure Land, we were recently given the opportunity to review Maggie's Soap Nuts. 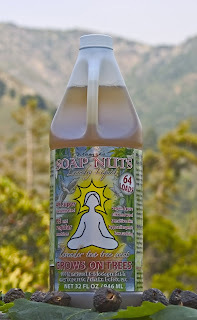 Maggie’s Soap NutsTM are the only laundry soap that grows on trees! Truly effective, 100% natural and safe for your most sensitive skin. 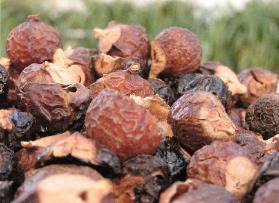 Soap NutsTM are the dried fruit of the Chinese Soapberry tree. They contain saponin, a natural cleaner used for thousands of years to clean clothes, just like the plants used by Native Americans for washing. Simply put a few Soap Nuts into the included cotton sack and drop it in your laundry. Your clothes come out clean, vibrant, and soft. Replace your laboratory detergents and softeners with the soap made from Nature by Nature. Your clothes, your skin, your family, and your planet will thank you. 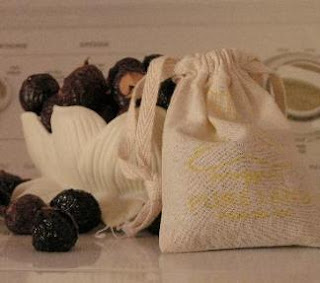 Nuts: Put Maggie’s Soap Nuts into the included, reusable cotton sack. Tie it closed. Add the sack to your washing machine and follow clothing manufacturer instructions. 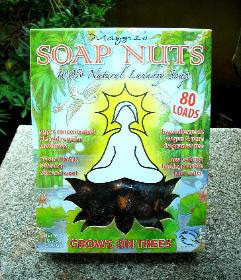 Return Soap Nuts to the earth by adding them to your compost! It’s that simple! Special Hint: In cold water your nuts will last up to twice as long, use them until they no longer feel slippery when wet. Happy Washing! Liquid: Use 1 oz. for normal loads of laundry. Use more for heavy soils or extra large loads. Less for light loads. Maggie’s Soap Nuts naturally soften and add body to your clothes. You’ll love how your clothes feel after washing with Maggie’s Soap Nuts. At Maggie’s Pure LandTM we promise to act in harmony with life and nature. Our commitment to compassionate living provides you with the most natural products available, provides fair wages to workers, and protects our animal friends by never testing on them. We also donate 10% of our net proceeds to groups that improve the lives of mothers, children, and support a happy, Pure Planet Earth. You can preserve Pure Land by spreading the good news! Tell your friends about Maggie’s Soap Nuts’ natural clean! I began Maggie’s Pure Land at my wee cottage in Big Sur, California. For me, Pure Land is a life practice - the practice of being clean, balanced and harmonious with nature in the body, heart and soul. I’m excited to share my vision of a clean, green, compassionate planet with you!" What we thought: Okay, so I was skeptical, but in efforts to be kinder to the Earth and to my family's skin, I decided to try these out. I am so glad I did! Maggie's Pure Land has made a believer out of me:) Our clothes feel so much softer after using the soap nuts and I especially love the convenience of the liquid! You don't really get a burst of scent from your laundry like you do with commercial detergents, but in my opinion, that is part of the problem with regular detergents(what works for us is a drop of lavender oil on the dryer sheet...a nice relaxing scent:) I love knowing Maggie's is good for my family, my Earth and my wallet:) ABCD Diaries gives Maggie's Soap Nuts an A! Buy It: You can find Maggie's Soap Nuts at Maggie's Pure Land. Win It: Maggie's Pure Land has generously offered one ABCD Diaries reader their choice of the liquid or the raw nuts!! (The winner may be asked to provide feedback about using Maggie's) To enter, comment below with which detergent option(liquid or raw nuts) you would like to try. Disclosure: ABCD Diaries was given soap nuts and liquid soap nuts for review purposes only. We were in no other way compensated. The opinions expressed in this post are ours and ours alone. "Ela Steel was born in Ontario, Canada where in 2005 she graduated from the Fine Arts program at Georgian College’s School of Design and Visual Art in Barrie, Ontario. 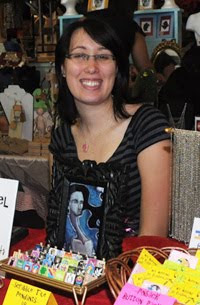 Since then she has lived as an expat artist and accidental jewelry maker in Texas with her husband, dog and two cats. Her interest in jewelry making initially sprung from the desire to bring her offbeat artwork to a larger audience via glass tile jewelry. From there she expanded to making bracelets, rings, earrings and eventually scrabble tile pendants- which is when the YumYumPendants brand was born. Ela prides herself on offering top quality handmade products and unique designs at affordable prices." You can see more of Ela's artwork in her Etsy shop or on her website. What we thought: I am completely in love with my pendant:) It is gorgeous and every time I've worn(which is a lot:) I've gotten compliments on it. And it stood up quite well to the toddler test. I can't usually wear necklaces without constantly being accosted by my 20 month old, but this necklace is very durable and he's getting used to the idea of me wearing it now:) The variety at Yum Yum Pendants is simply astounding and every piece is absolutely gorgeous. You'd be hard-pressed not to find something you loved:) ABCD Diaries gives Yum Yum Pendants an A+!! Buy It: You can find Scrabble jewelery for every occasion on Ela's website, Yum Yum Pendants. Win It: Ela has generously offered one ABCD Diaries reader their very own scrabble pendant of the winner's choice plus an 18" ball chain. To enter, check out Yum Yum Pendants and leave a comment below with a pendant you'd love to own. Disclosure: ABCD Diaries was given a beautiful pendant for review purposes only. We were in no other way compensated. The opinions expressed in this post are ours and ours alone. 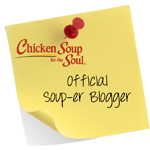 We have over 30 reviews/giveaways planned for our blog alone in categories like Scool Supplies, Clothes, Lunch wear, Breakfasts, Snacks, Preschool, For Mom and Dad and more:) If you know anyone who would like to have their product featured on ABCD Diaries, please let me know! I look forward to seeing you all there!! For the second year in a row, Hasbro introduces a new layer of fun to traditional card game play. 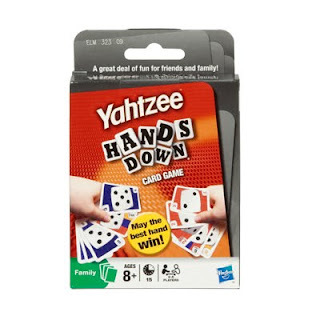 By transforming the board games of Yahtzee and Sorry into "snackable" play formats and adding the classic French game Mille Bornes to the line. Hasbro card games provide lasting entertainment whether on the go or for family game night. 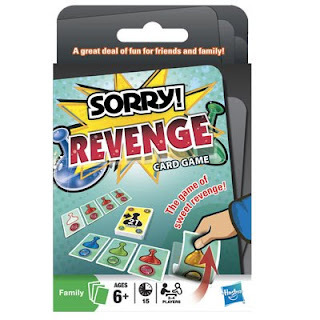 Win the race to flip all of your pawn cards home and sweet revenge is yours! Take turns to play number and action cards to change the play pile’s total. Get the pile to 21 without going bust to get one of your pawn cards home. But watch out – someone could play a SORRY! card and steal your win! Includes 109 cards, 1 reminder card and instructions. For 2 to 4 players. Keep your wits about you and your eye on the cards! Collect dice cards to make classic combinations: 3 of a kind, 4 of a kind, small straight, large straight, full house and YAHTZEE! Re-roll by discarding cards you don’t need and taking a chance on new ones. But here’s the twist – pit your hand against another player’s. Score high and win the Combo card points. It’s great YAHTZEE fun in a card game! Includes 12 combo cards, 12 chance cards, 84 dice cards, 1 starter card, 1 reminder card, 1 combo sheet and instructions. 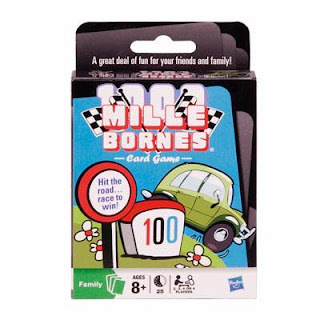 Put your foot down… it’s time to play MILLE BORNES! Play distance cards and speed towards the finish line, or put the brakes on your opponent with nasty hazards! Drive carefully, because they’ll be playing hazards on you too. Out of gas? Play a Gasoline card. Got in an accident? Play your Repairs card. Be the first player to travel 1000 miles and win! Includes 115 cards, instructions and scoresheet. For 2, 3, 4 or 6 players. While our kids are still a little too young for these games, they were thoroughly enjoyed by all the adults:) These card games are truly addictive and allow for faster play than the original version. As always we were completely satisfied with our Hasbro products:) These card games will be recurring hits at all our family game nights!! ABCD Diaries gives Hasbro new card games an A+!! Other games released as card games include Trivial Pursuit, Monopoly, Scrabble, Littlest Pet Shop Go Fish, Rook and Pictureka! Find your Hasbro card games at mass merchandisers now and prepare your family for National Family Game Night, September 29, 2010!! Disclosure: ABCD Diaries was given 3 card games for review purposes only. We were in no other way compensated. The opinions expressed in this post are ours and ours alone. Thanks to Mederma, I was recently given the chance to try Mederma Stretch Marks Therapy. Mederma® is proud to introduce a stretch marks product that delivers results. Results that are visible to the naked eye. New Mederma® Stretch Marks Therapy is specifically formulated and clinically proven to reduce the appearance of stretch marks by reducing discoloration, improving texture and enhancing softness. 85% of women in the U.S. have stretch marks. 85%. It’s time for a stretch marks product that delivers visible-to-the-naked-eye results. It’s time for real results. It’s time for skin to win. Stretch marks will be reduced in appearance. Confidence can be restored. Stretch marks first appear as dark or discolored lines, but tend to gradually fade to a lighter color. Stretch-marked skin can also appear rippled or puckered in texture because it loses its elasticity when it stretches. You’ll usually find stretch marks on the abdomen (especially near the belly button), breasts, upper arms, underarms, thighs (both inner and outer), hips and buttocks. You’ve probably heard plenty of stretch mark prevention tips. When it comes to prevention, a moisturizer can’t hurt, but should not be looked at as a sure fire way to avoid stretch marks. Though they don’t pose a health risk, stretch marks can cause their fair share of self consciousness. There are various products designed to improve the appearance of stretch marks, including lotions and creams, laser treatments, and dermabrasion. Some people even opt for a surgical procedure known as a "tummy tuck" to remove lower abdominal stretch marks. New Mederma® Stretch Marks Therapy is a cost-effective way to reduce the appearance of stretch marks, diminish discoloration and improve texture in 4 to 12 weeks. YOU SHOULD TELL YOUR STORY. YOUR SKIN SHOULD NOT. Some people say stretch marks and scars are badges of honor. They show what you’ve been through, what you’ve survived. Mederma® believes you should tell those stories, not your skin. Mederma® Stretch Marks Therapy is dermatologist tested, specifically formulated and clinically proven to reduce the appearance of stretch marks.It diminishes discoloration, improves texture and enhances softness in 4 to 12 weeks. Mederma® is the #1 doctor- and pharmacist-recommended brand for scars. Mederma® is clinically proven to soften, smooth and reduce the appearance of scars. Mederma® improves the color, texture and overall appearance of old and new scars — from surgery, a burn, an injury, an accident or acne. Mederma® is proud to offer a stretch marks therapy that delivers visible-to-the-naked-eye results. 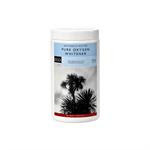 -Reduces the appearance of stretch marks. Mederma® Stretch Marks Therapy is an advanced cream formula that combines a unique blend of ingredients: Cepalin®, Hyaluronic Acid and Centella Asiatica. In a recent clinical study, 80% of participants reported visible improvement in the overall appearance of their stretch marks after using New Mederma® Stretch Marks Therapy for 12 weeks. That’s 8 out of 10 women. And that’s reason to try yet another stretch marks therapy." What we say: Mederma Stretch Mark Therapy is pretty great:) I was super lucky to only get 2 major, permanent stretch marks after 2 pregnancies. One of which is pretty low, but stretches about 2 inches and one above the hole from a long-ago belly button piercing:) After using Mederma for a month, I can really see a difference in the appearance of them both. I'm not going to lie though...after the first week I found it hard to remember to put it on twice a day. But that only means if I would have stuck to 2-a-day the results would be even more amazing! ABCD Diaries gives Mederma Stretch Mark Therapy an A+!! Buy It: You can find Mederma Stretch Mark Therapy in most pharmacies, including CVS, Walgreens and Walmart. Go to their website to get a $4 off coupon! Win It: Mederma has generously offered one ABCD Diaries reader a 3 month supply of Mederma Stretch Mark Therapy, a $120 value!!! To enter, leave a comment below. Disclosure: ABCD Diaries was given a 3 month supply of Mederma Stretch Mark Therapy for review purposes only. We were in no other way compensated. The opinions expressed in this post are ours and ours alone.